You might remember that catchy jingle from Chia Pet ads in the 80’s. Remember those furry little figurines that grew green sprouts that looked like fur? These days chia seeds are becoming more widely known for their health benefits. Chia seeds come from the desert plant Salvia hispanica, a member of the mint family. Its origin is believed to be in Central America where the seed was a staple in the ancient Aztec diet. Chia seeds are an excellent source of omega-3 fatty acids, containing even more than flax seed. They are also a good source of fiber at 10 grams per ounce (about 2 tablespoons), and contain protein and minerals including as iron, calcium, magnesium and zinc. One ounce of chia seeds (about two tablespoons) contains 137 calories, one gram of saturated fat, 11 grams of fiber, 4 grams of protein, 177 milligrams of calcium, and 4.9 grams of omega-3 fatty acids. Emerging research suggests that including chia seeds as part of a healthy diet could have a positive impact on our health. There is some evidence that eating chia seeds may help improve cardiovascular risk factors such as lowering cholesterol, triglycerides, inflammation, and blood pressure. One study, published in the journal Diabetes Care in 2007, found that when people with type 2 diabetes consumed up to four teaspoons of the seed everyday for three months, they experienced a 30 percent drop in C-reactive protein, a marker of inflammation in the body. These same study participants also experienced a drop in blood pressure. Another study conducted in people with type 2 diabetes found that chia seeds reduced post-meal blood glucose levels. There are also claims that eating chia can aid in weight loss, but there is no good scientific evidence to support that claim. The seed’s high amounts of natural antioxidants keep them from deteriorating and going rancid, so chia seeds can be stored at room temperature in a closed container for several months. Unlike flax, chia seeds do not have to be ground to make their nutritional benefits available to the body. They can be eaten raw or added to any number of dishes. Sprinkle ground or whole chia seeds on cereal, salads, rice, yogurt or vegetables. You can even grind them and mix them with flour when making muffins or other baked goods to add nutritional benefits. Chia seeds are readily available at Publix,Trader Joe’s, and Whole Foods. The sprouts, or micro-greens of the chia plant are also edible and have nutritional benefits. 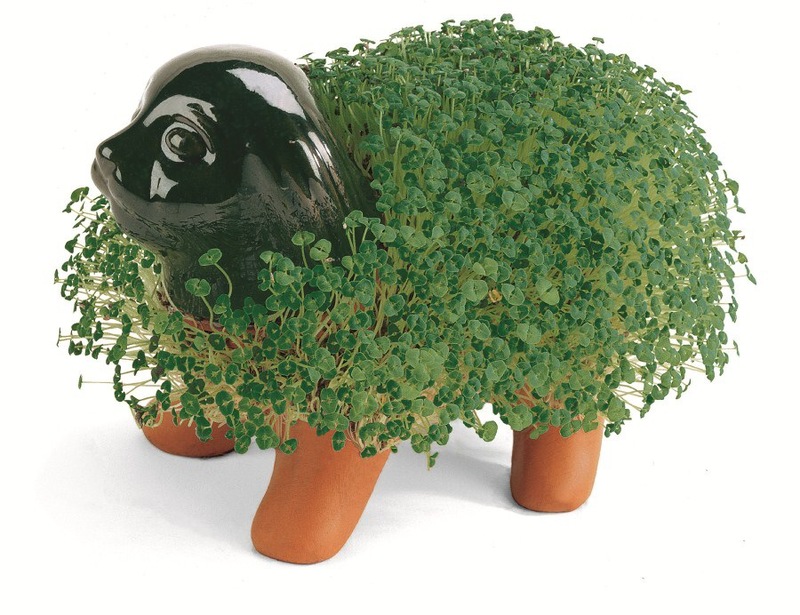 So if you happen to see one of those ads for the loveable Chia Pet you can buy it and think of it as an investment in your health. You can try adding them to salads, sandwiches and other dishes. Want a nutritional boost? Add a little extra nutrition to just about anything by sprinkling a little chia into your diet! Previous Post Is There Something Fishy About Tilapia?